Seattle U plays four Pac-12 teams next season in men's basketball, including Washington, Washington State, Stanford and California. 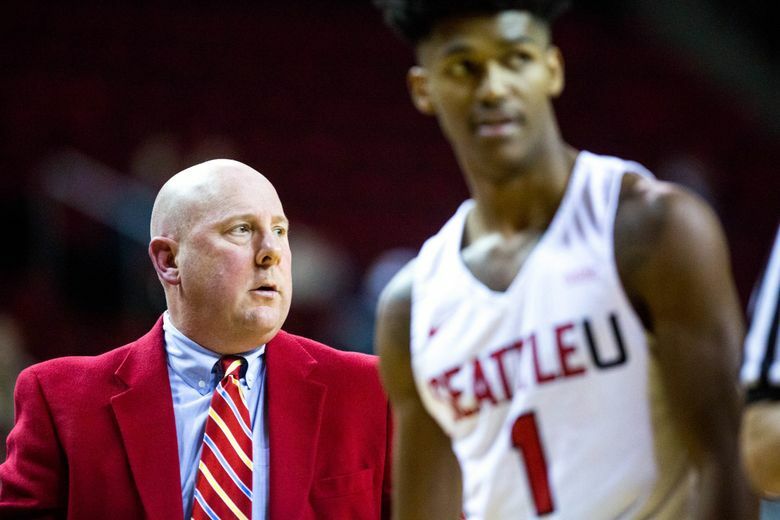 The Seattle University men’s basketball team is returning to campus for the next two seasons due to the $700 million renovation at KeyArena. SU released its 2018-19 schedule Tuesday and it includes 17 games at the Redhawk Center, a 999-seat gymnasium that was formerly named the Connolly Center. The Redhawk Center underwent a remodel in 2015 and serves as the home for the SU women’s basketball and volleyball teams. “It’s a tight fit and logistically it’s taking some maneuvering, but we’ve made it work and we’re excited about engaging with our fans here,” coach Jim Hayford said. “Whenever you have a major transition like this, you need to find the positives. Seattle U expects to be a secondary winter tenant after an NHL team at the 18,600-seat Seattle Center venue scheduled to reopen for the 2020-21 season. Until then, the Redhawks look to build on Hayford’s solid debut last season (20-14 overall and 8-6 for fourth in the Western Athletic Conference) with full knowledge it’s difficult to entice major nonconference teams to play at the Redhawk Center. The season opens Nov. 6 at Stanford and includes road games at Washington on Dec. 9, Portland on Dec. 17 and California on Dec. 29 to wrap up the nonconference schedule. Seattle U plays twice at the 6,500-seat ShoWare Center in Kent. The Redhawks host Bryant on Nov. 11 and Washington State on Nov. 14. SU’s annual Elgin Baylor Classic will be held over Thanksgiving weekend on campus and feature Denver (Nov. 23), Fairfield (Nov. 24), Longwood (Nov. 25) and Northwest University (Nov. 28). The Redhawks’ 16-game WAC schedule begins with three straight road games, at Cal State Bakersfield (Jan. 3), Grand Canyon (Jan. 5) and Utah Valley (Jan. 12). Seattle U hosts New Mexico State, the WAC regular-season and tournament champion, in a league home opener on Jan. 17. The Redhawks finish the regular season with five of their final six games at home.